Today dozens of leading health organizations representing more than five million doctors, nurses and public health professionals, and 17,000 hospitals, in more than 120 countries announced commitments and unveiled a Call to Action on Climate and Health aimed at accelerating stronger advocacy and action in addressing climate change. 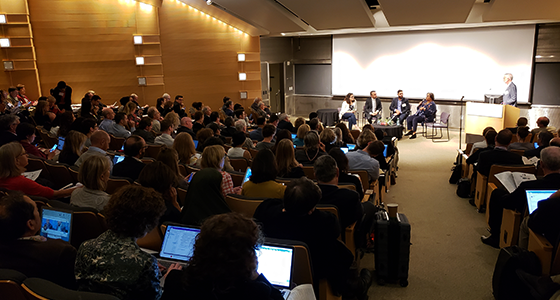 The commitments were made as part of the Global Climate and Health Forum at the University of California, San Francisco, an affiliate event to the Global Climate Action Summit. 18 health care institutions representing the interests of more than 1,200 hospitals and health centers in ten countries have committed to 100 percent renewable electricity. 178 participants, representing the interests of more than 17,000 hospitals and health centers have joined the Health Care Climate Challenge. 21 U.S. health systems, representing 918 hospitals and over 1 million employees in 41 states signed the We Are Still In pledge. Transition away from the use of coal, oil, and natural gas to clean, safe, and renewable energy. Ensure gender equality is central to climate action. As the Call to Action highlights, many policies focused on climate goals also offer demonstrable and significant health benefits. Climate action in energy, transportation, land use, agriculture, and other sectors has the potential to avoid millions of preventable deaths each year. Shifting to renewable energy, sustainable food production and diets, active transportation, and green cities will lower climate pollution while simultaneously reducing the incidence of communicable and non-communicable disease, improving mental health, and bringing significant health care cost savings. Health care systems, hospitals, and health organizations are urged to join the initial signatories and endorse the Call to Action, which will be delivered to world leaders at COP 24 in December. The Global Climate and Health Forum, hosted in part by Health Care Without Harm, was focused on building the capacity of the global health response to climate change by strengthening collaboration across all health sector stakeholders, raising the health voice for climate action, and mobilizing health sector commitments to climate change solutions.